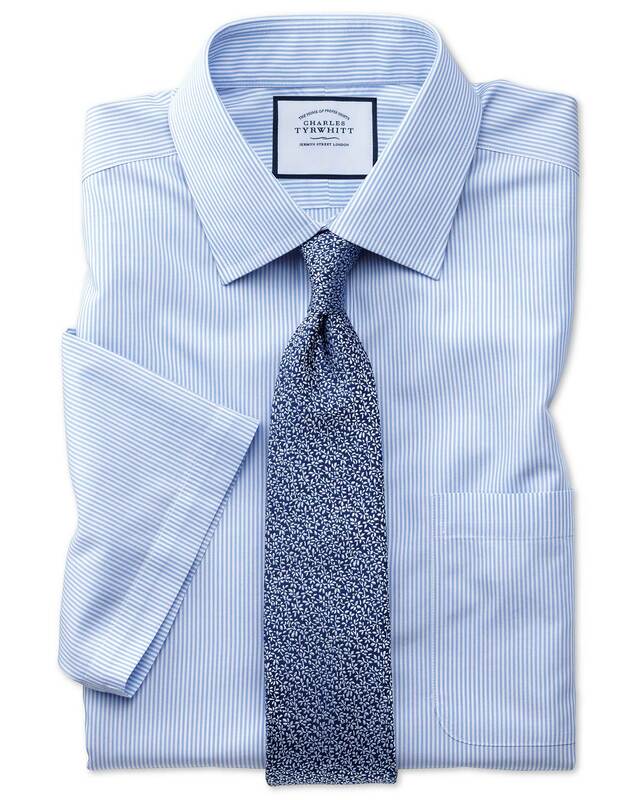 Response from Charles Tyrwhitt: I was sorry to read that the shirts ordered here feel larger than identical shirts purchased in the past. This is most strange, as we have not made any adjustments to the fit of our Slim Fit shirts in several years! Perhaps this was indeed an issue with a particular batch and thank you for working with us to have them replaced. I do hope the new shirts will be ideal for you but if not, you may wish to consider a slight reduction in collar size to reduce the excess material in the chest area. Purchase was easy and delivery was prompt. Good fit, but cut of the sleeves prevented arms from being raised.